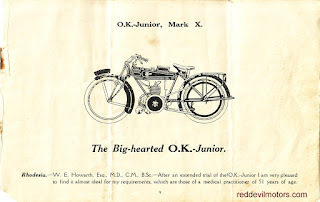 A somewhat ignominious name for a brand of motorcycle, OK were one of the pioneers in the bicycle and motorcycle industry. 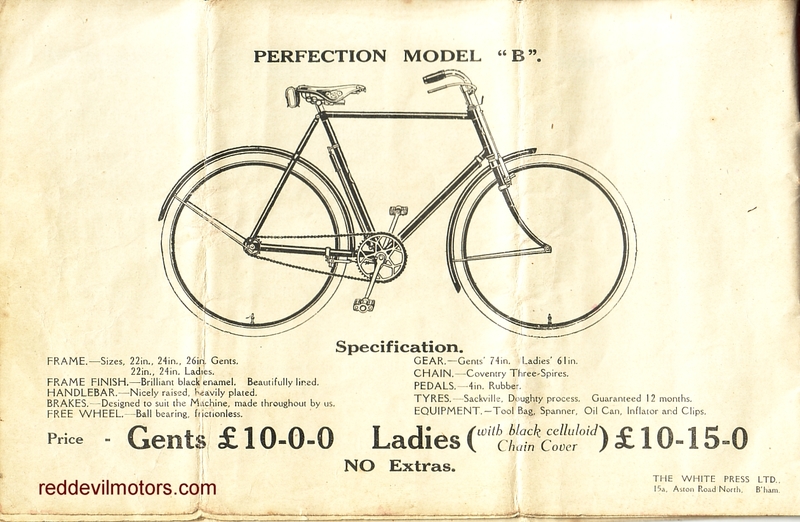 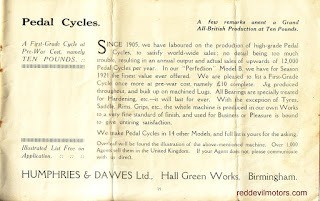 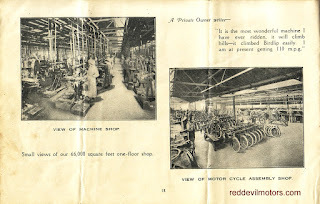 The company was founded in 1899 by Ernie Humphries as a cycle parts manufacturer. 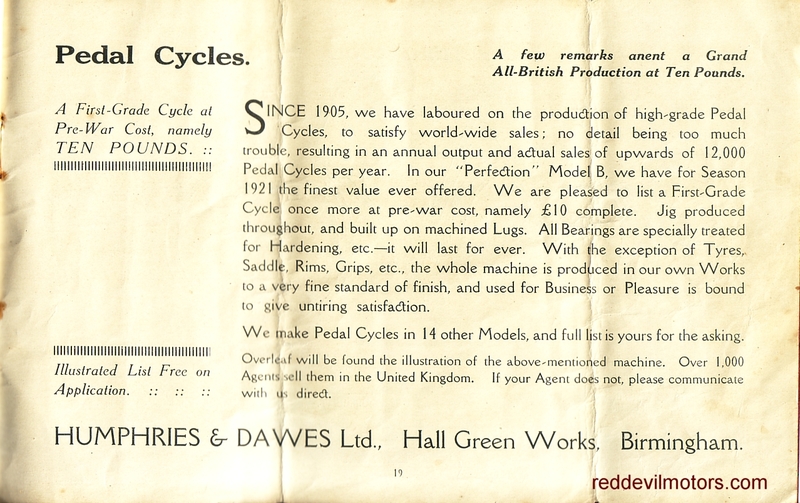 Charles Dawes became a partner in the company in 1906 and the range of the company slowly expanded to include motorcycle parts. 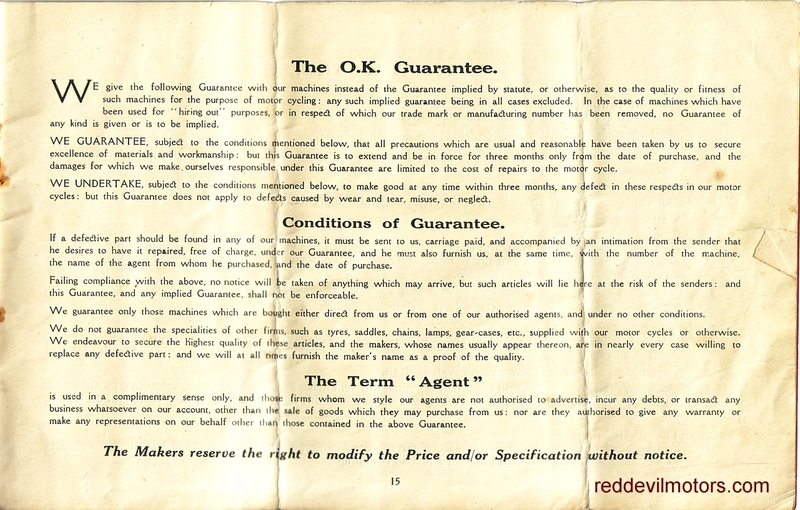 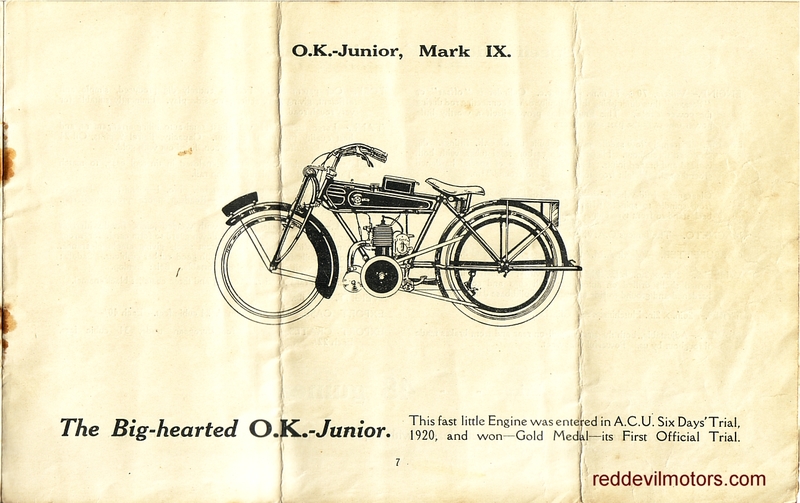 By 1911 Humphries and Dawes were producing complete motorcycles under the OK brand name, the range expanded up until the Great War. 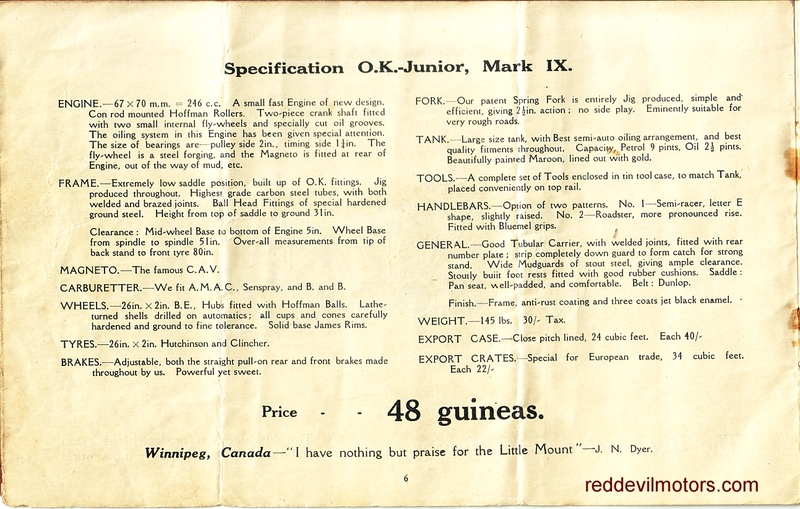 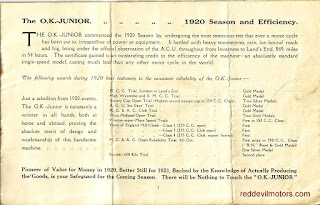 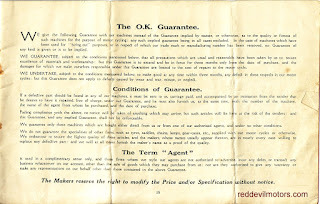 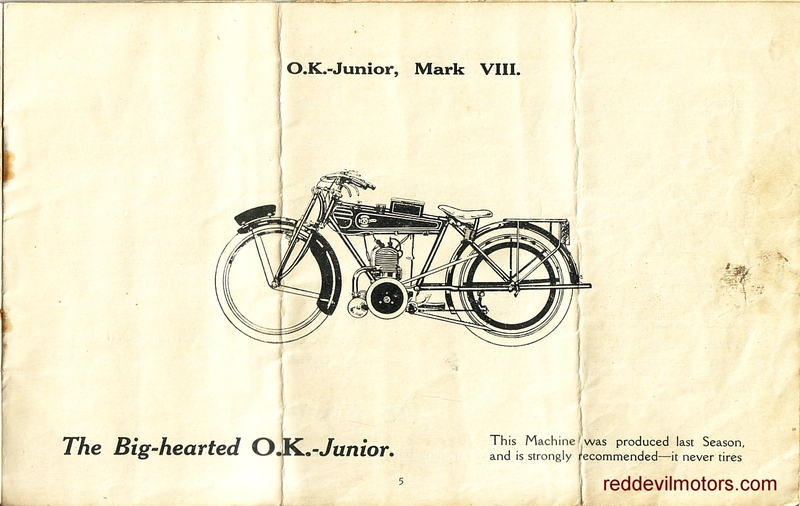 In 1914 an OK Junior model was introduced as a lightweight and economical machine. 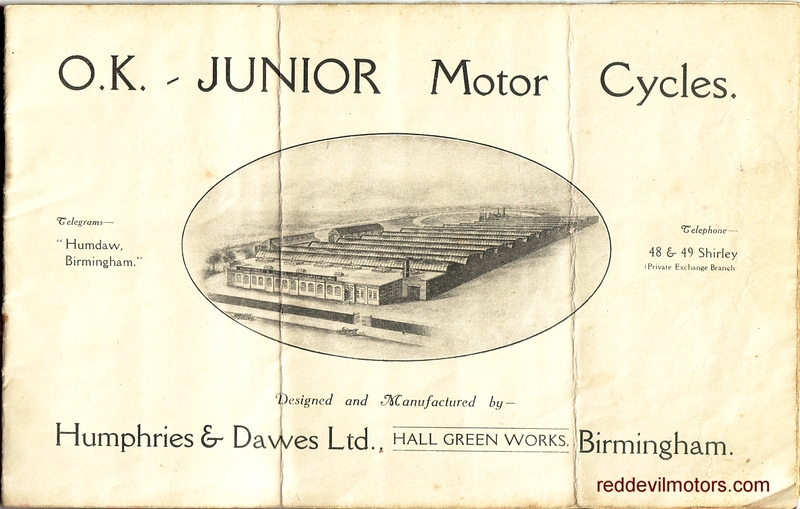 From 1919 it was decided to concentrate only on the Junior model, by mid 1920 2000 Juniors were leaving the factory each month. 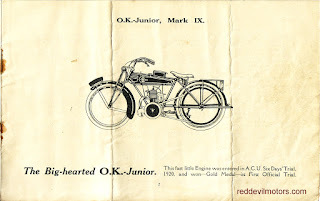 The brand name changed from OK Motor Cycles to OK Junior Motor Cycles reflecting the single base model range. 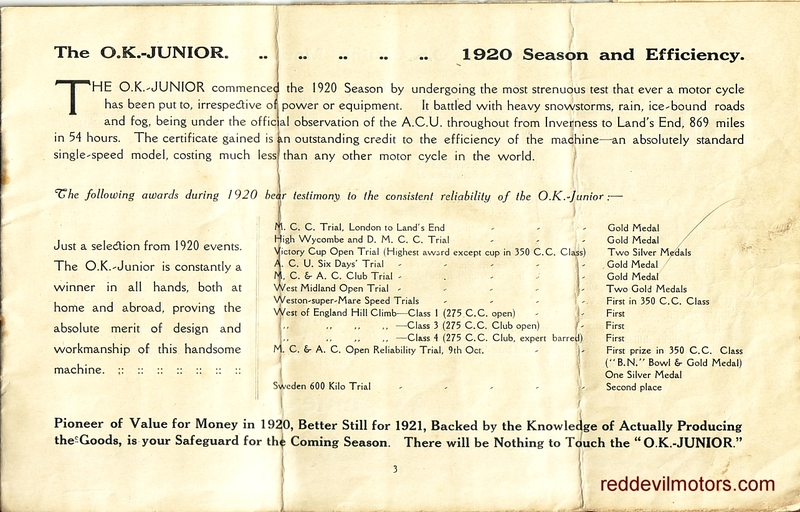 Sales of the Junior waned with the general slump in motorcycle sales following the early post war peak. 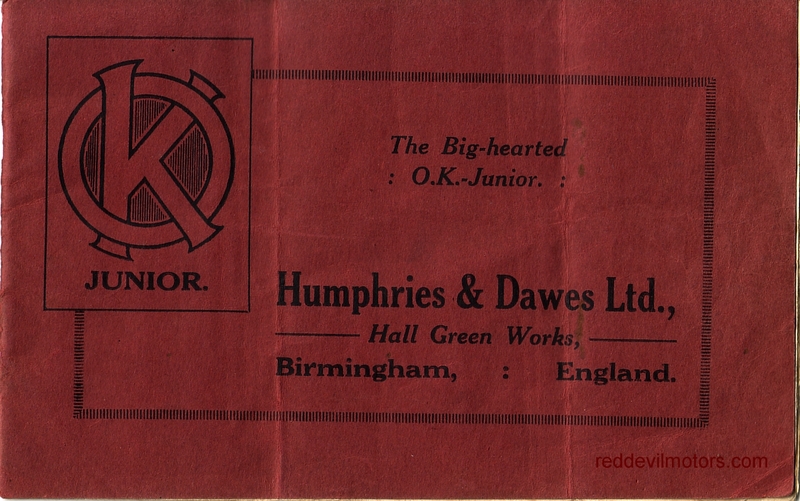 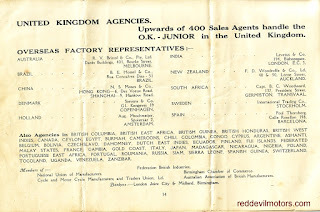 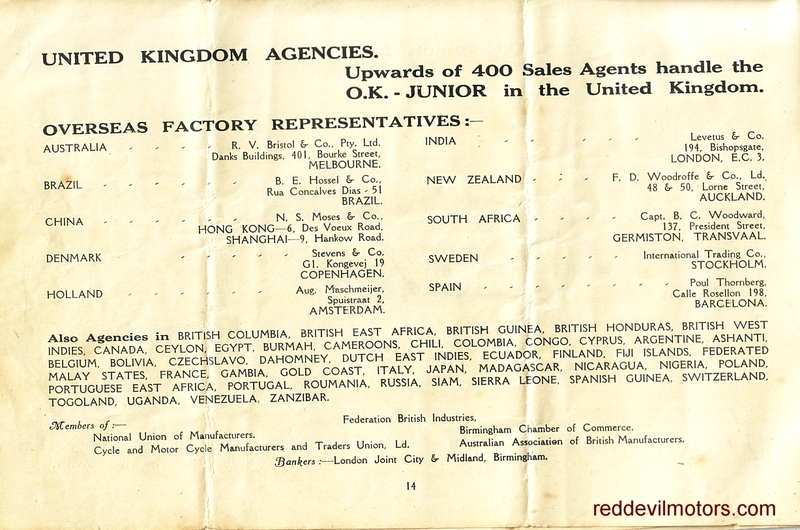 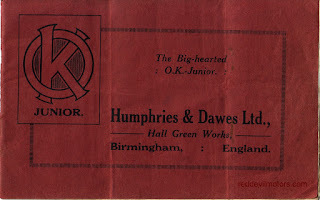 In 1926 Humphies and Dawes decided to part their ways and split the company. 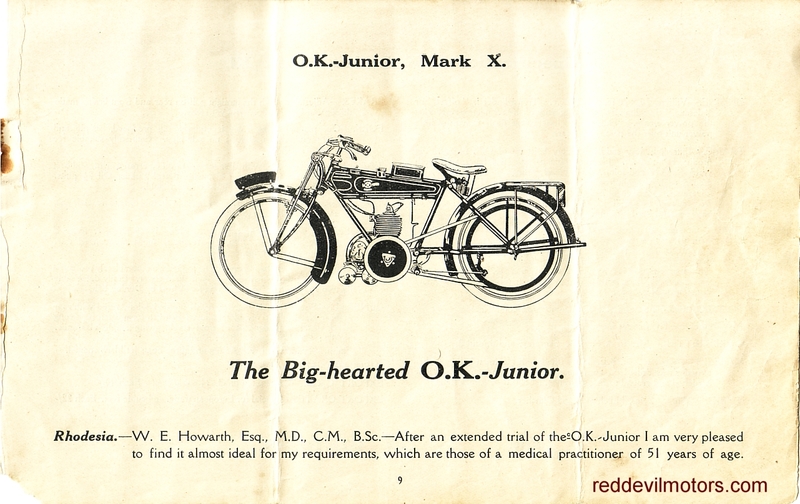 Dawes concentrated on the bicycle market (yes, that Dawes) and Humphries set up the OK Supreme motorcycle brand. 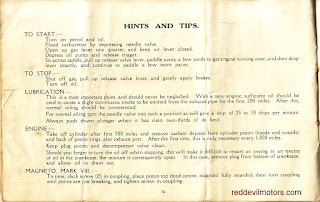 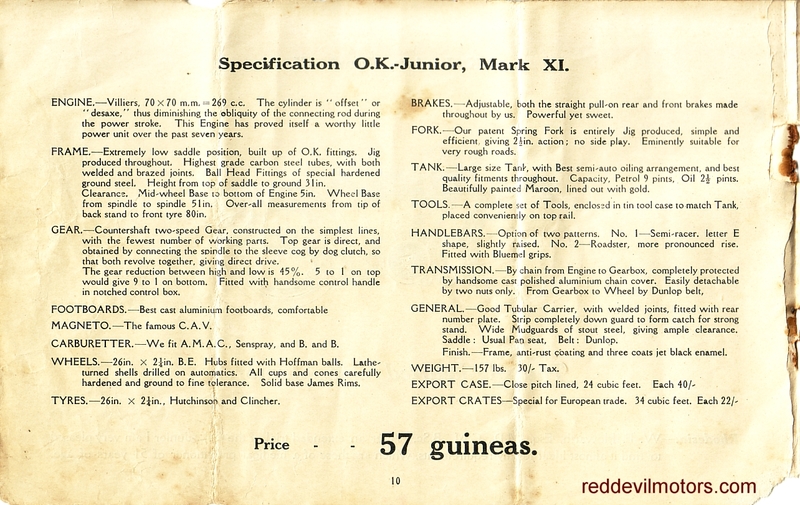 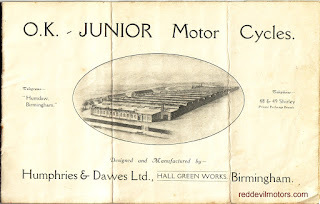 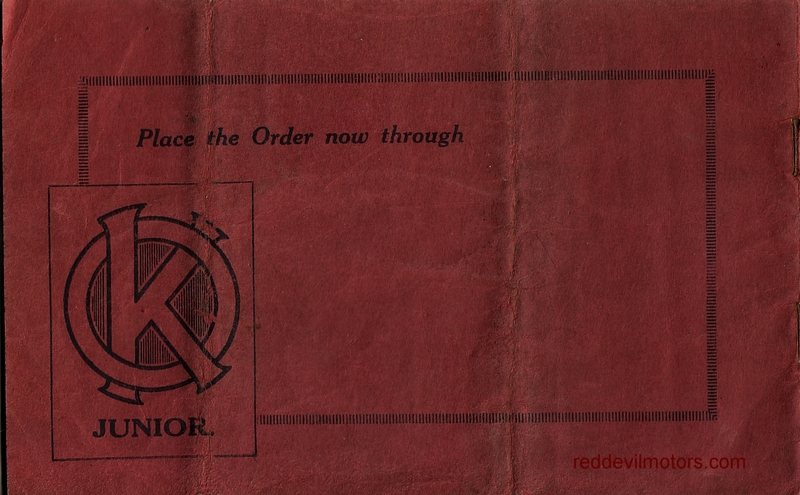 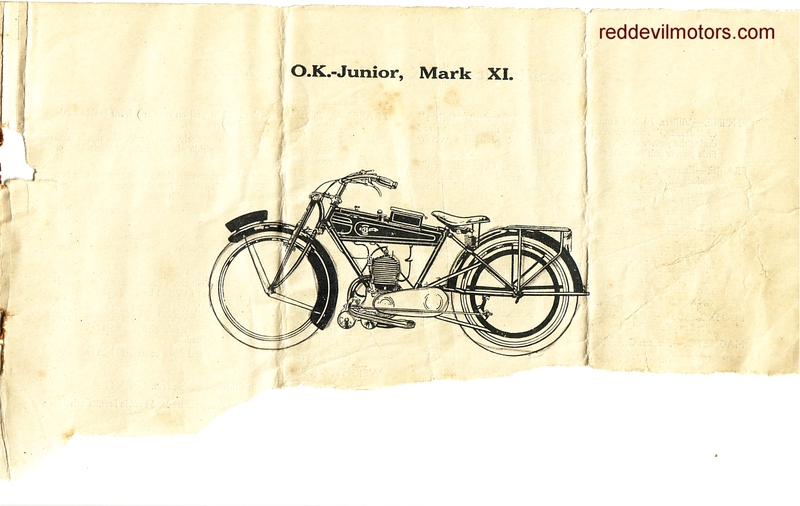 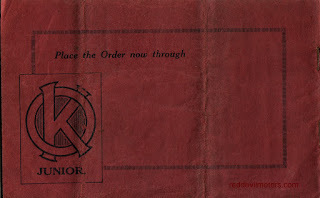 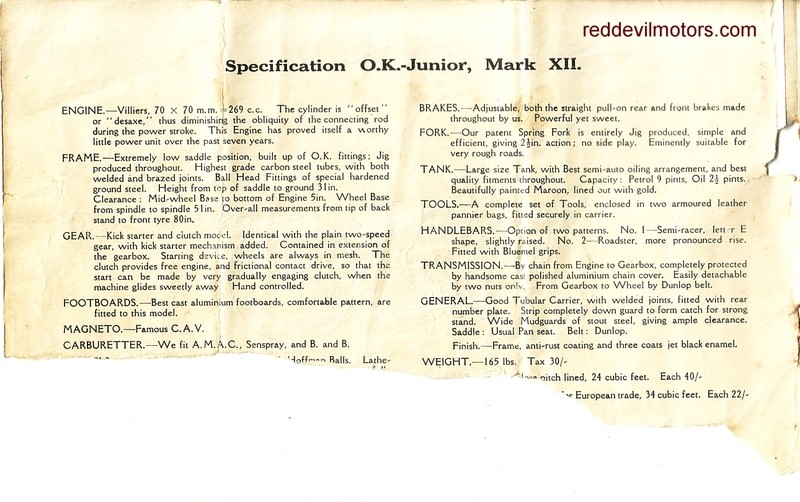 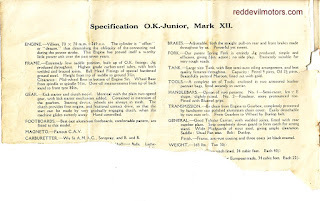 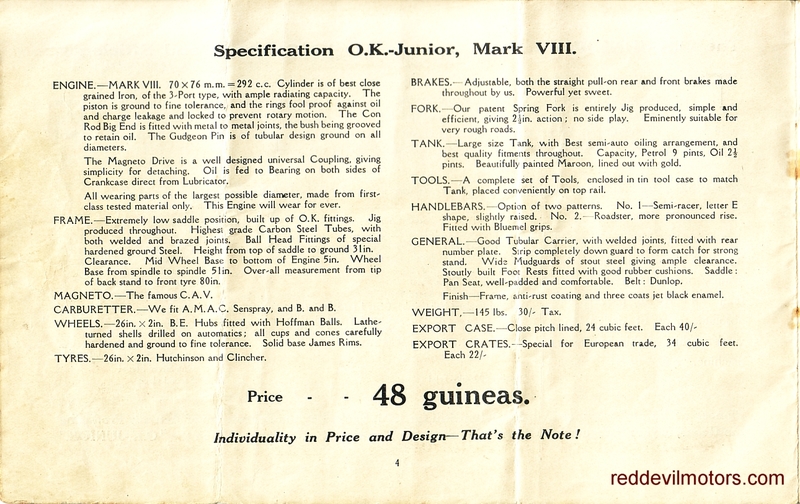 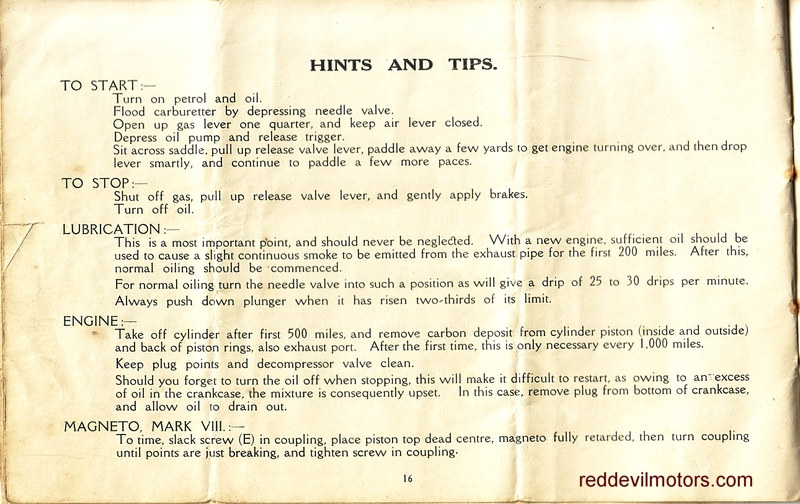 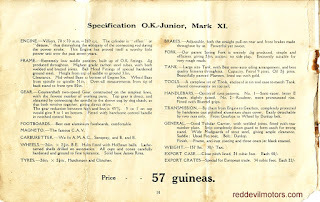 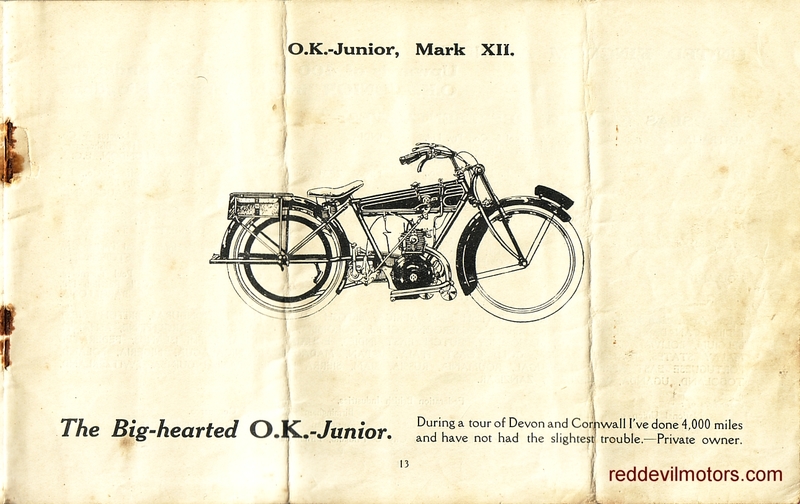 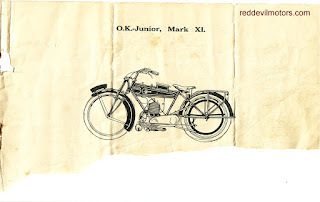 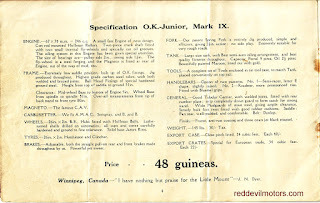 The below brochure for OK Junior Motor Cycles dates from 1921 and although is slightly ratty in condition merits reproduction for its rarity. 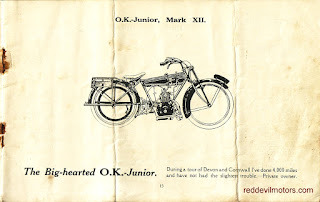 No words were minced in the sale of this motorcycle. 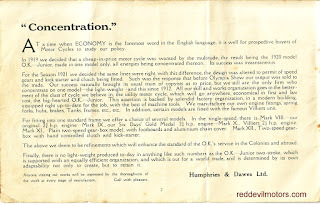 As the brochure explains, "At a time when ECONOMY is the foremost word in the English language... 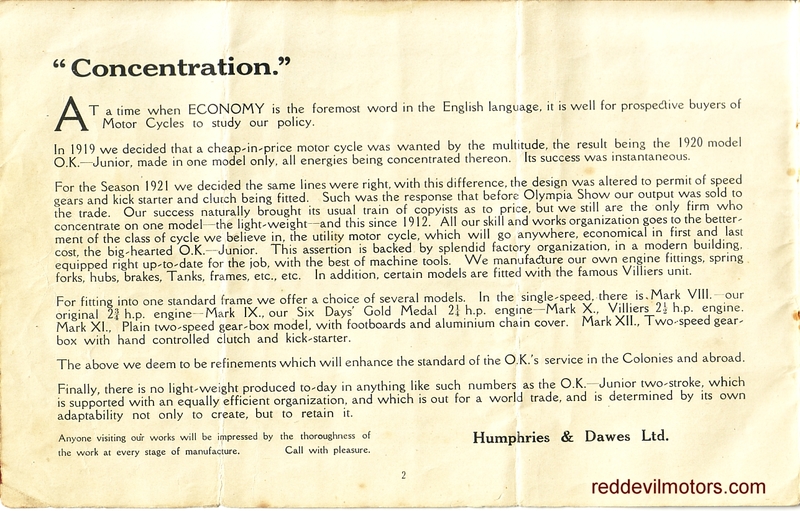 In 1919 we decided that a cheap-in-price motor cycle was wanted by the multitude..."
I guess they knew their market if they managed to shift 2000 units per month. 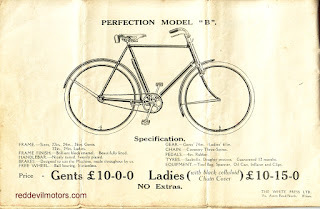 Marketing seems to have been more straightforward back then. 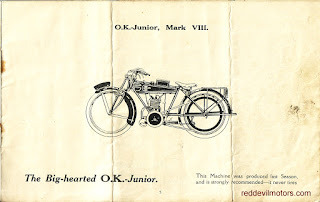 Nowadays people want to be told that they are buying in to a luxury lifestyle brand. 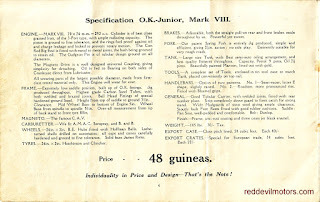 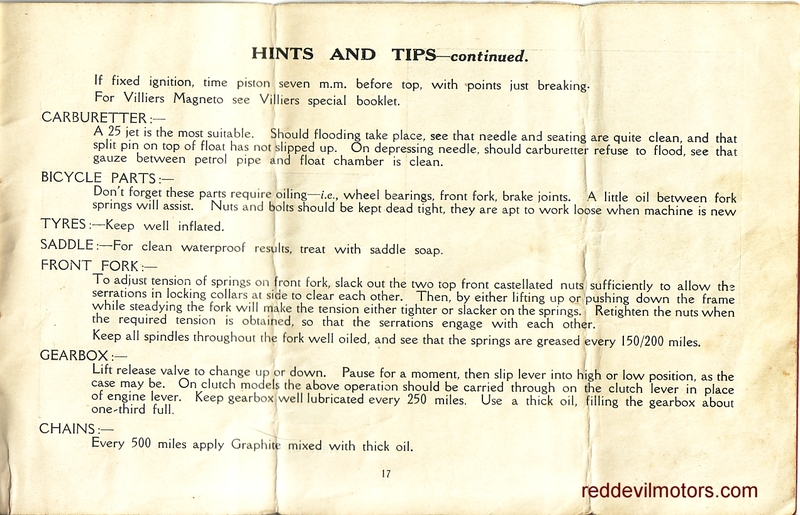 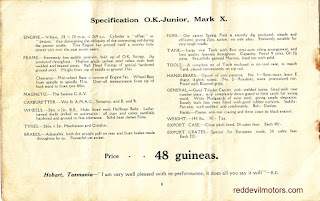 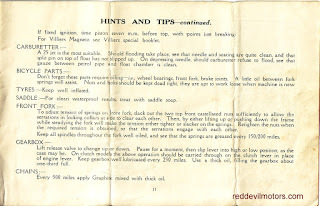 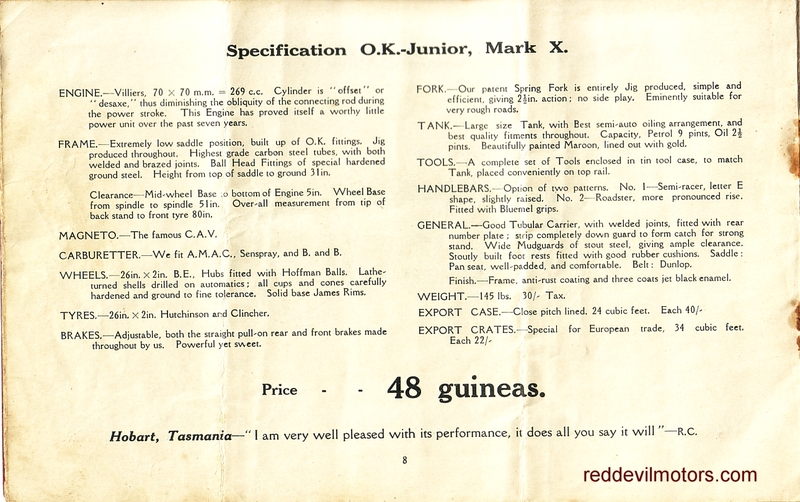 For the OK chaps it was sufficient to say, 'you want cheap here it is'!